FREE OFFER: Buy 10 or more 25-packs and receive a FREE crimping tool ($13.95 value). 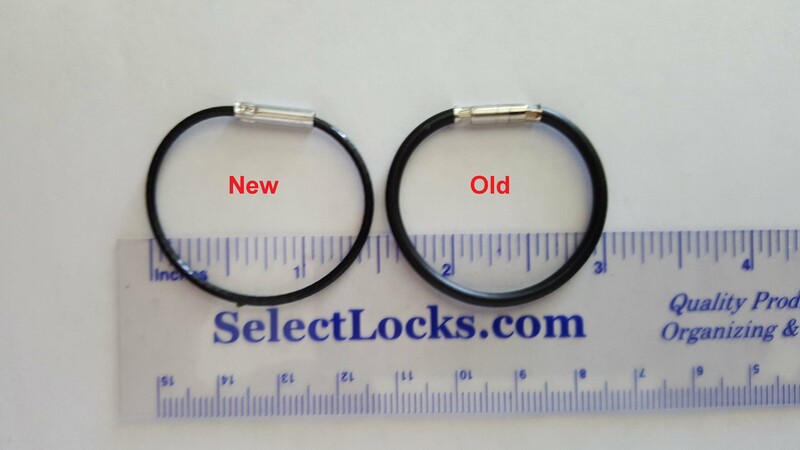 The manufacturer has significantly changed this cable key ring - and reduced its price. 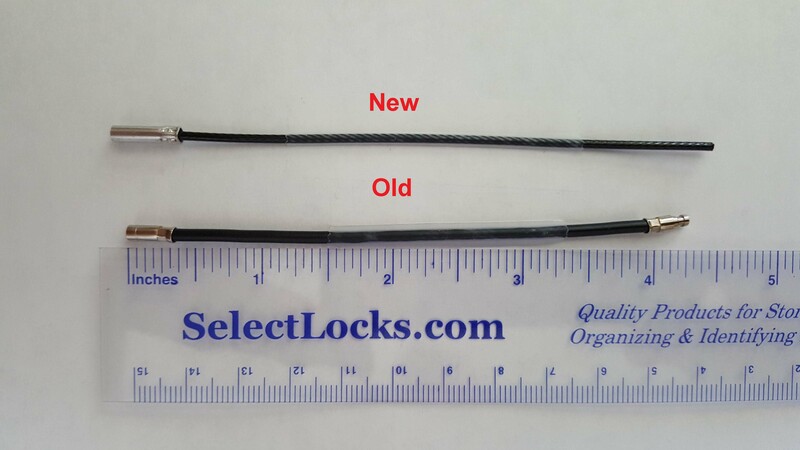 Specifically, the diameter of the cable is much smaller (0.0625 inches vs 0.0935 inches) and the male end connector has been eliminated. 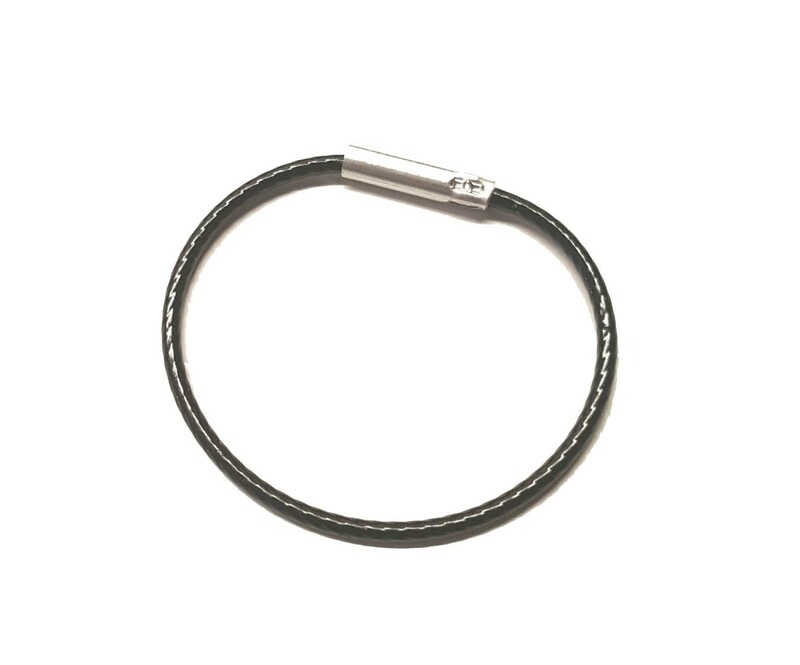 This enables the use of this cable for very small diameter fobs and other key holes. We still have the open end model (30-80845) with a cable diameter of 0.0935 (3/32) inch. Even though the cable has changed, these tamper proof key rings still provide you the security of knowing that your keys have not been copied without your knowledge. They are made of the same high strength nylon coated aircraft cable and the female end is nickel-plated brass. To permanently close the key ring, simply crimp the metal connector (crimping tool available, below). Once locked, the tamper proof key ring must be cut to remove the keys. Buy 6-19 25-packs $17.85 ea. Buy 20-39 25-packs $16.90 ea. Limit one free crimping tool per order.